Welcome to Art Attack’s May Monthly article. Well they say April showers ring May Flowers, and that is definitely the case here in the Bay Area. While the rainy season seems to be behind us, now is the time to start enjoying the the great weather, green, and amazing outdoors the San Francisco Bay Area has to offer. 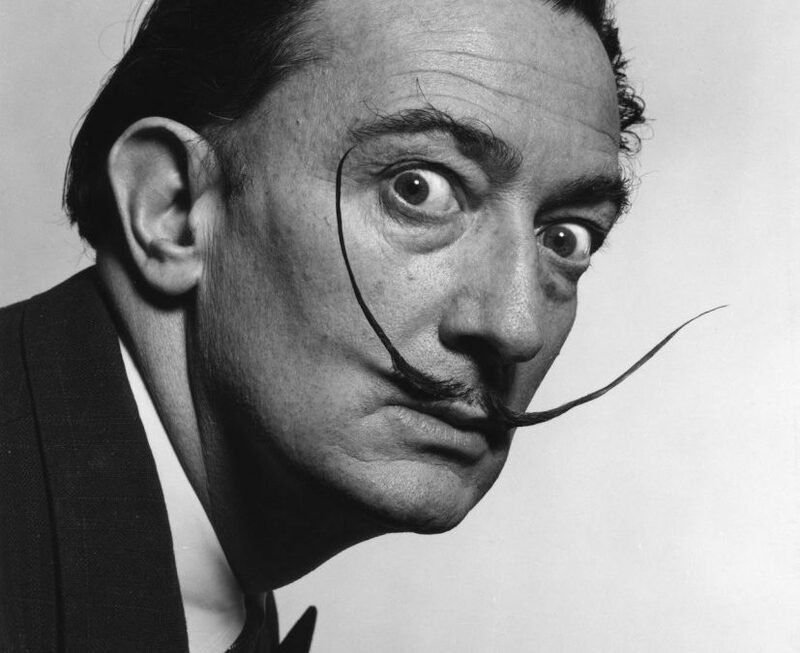 This month we will feature Salvadore Dali born May 11th, 1904, his famous works of art and his life in a glimpse. We will take a special look at Week 2 and 3 from our Summer Camp program which will begin in late June and early July and finally feature a fun Bay Area Art event to check out this month. Have you signed up for Summer Camp art classes yet? Week 2 and 3 of summer art camp are a blast for kids. Week 2 Art Camp is Adventures at Sea, and what a perfect description. Our class sets out on a fun day long field trip by Ferry to Angel Island, where we learn the rich history of the island and set up our easels and start to paint right on site. Pack your brushes and gear and enjoy a fun day and week inspired by visions and adventures at Sea. Week 3 summer art camp is called “pass the dessert” and smells as good as it sounds. In this week long class we will take a fun day field trip to Burlingame and the many local dessert destinations it has to offer including Aida’s, Powells, Kara’s, Copenhagen Cakery, and we wrap it up with a fun picnic in Washington park to enjoy all of our goodies and have some group fun. Also on Friday, both of these summer camps feature an art show for friends and family to see the showcase of artwork from the week’s adventures. For more information on all of our summer camps or to book directly online, click here to see all our Summer Camps or give us a call directly at 650-652-0001. The Maker Faire’s 12th Anniversary festival is May 19th – May 21st at the San Mateo Event Center on Saratoga Dr in San Mateo. The family friendly event features the most creative and resourceful people in arts and crafts, food, and science and technology, sure to have you and your family yearning to learn more. The hours for the event are Friday May 19th from 1PM-5PM, Saturday May 20th from 10AM – 7PM, and Sunday May 21st from 10AM – 6PM. For more information on the event or tickets, visit their website by clicking here. Art Attack is a fun and interactive art studio in the SF South Bay Area that provides instruction in the fine arts to children, teens and adults. Art Attack offers affordable painting classes year round to the residents of the San Francisco Bay Area. We have art classes for kids ages 5 and up with after school and weekend classes, as well as teen and adult art classes Monday through Saturday. Looking for a place to have a fun and unique party? Art Attack Burlingame also has Arty Parties which are perfect for any occasion: birthdays, showers, girl’s night out and even office team building!